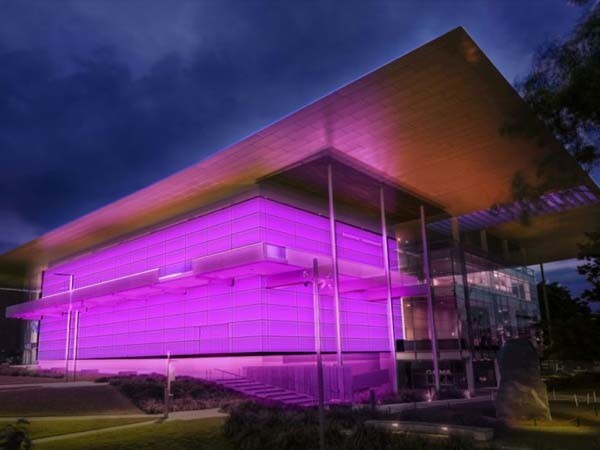 Internationally renowned light artist James Turrell has been commissioned to design a permanent light installation at Queensland’s Gallery of Modern Art (GOMA) in its 10th anniversary year. Turrell’s architectural light installation, which will illuminate GOMA’s facade at night from within, will represent a realisation of the architects' original design intent for the building. Architectus + Davenport Campbell won the international competition in 2002 to design GOMA. For the project, lead architects Kerry Clare, Lindsay Clare and James Jones envisaged an artist-illuminated ‘white box’ on the building’s main pedestrian approach. The architects’ original design intent will now be realised with Turrell’s architectural light installation illuminating the GOMA’s eastern and southern facades at dusk. Queensland Art Gallery and Gallery of Modern Art (QAGOMA) director Chris Saines says Turrell’s ambitious and dramatic artwork will be a permanent installation, transforming the way the Gallery of Modern Art building is seen and experienced by local, national and international audiences. According to Saines, the ‘architectural light’ work will breathe new life into the glass facade of the Gallery of Modern Art and complete the original design intention for the building. Known for large-scale and luminous installations, James Turrell has for over half a century been working to provide revelations about the perception and the materiality of light. Some of his standout installations include ‘skyspaces’ such as Within Without (2010) at the National Gallery of Australia, Canberra, and Amarna (2015) at the Museum of Old and New Art in Hobart; and a monumental project at Roden Crater, an extinct volcano in northern Arizona.